The North East is bracing itself for the return of Henrik Ibsen’s brooding Scandinavian masterpiece Hedda Gabler, which returns to Newcastle from Tuesday 13th until Saturday 17th February, this time at the illustrious Theatre Royal. The timing for the production couldn’t be better, as Valentines couples are set to be positively perturbed by the tale of a cornered but tenacious Hedda, fresh from her honeymoon and steadfast in her manipulation of those closest to her. 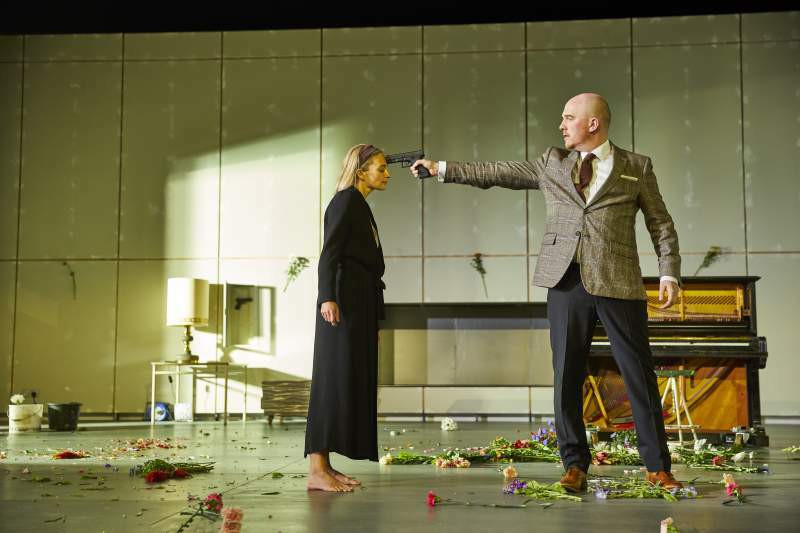 The National Theatre’s unsettling production comes to Newcastle fresh from its sell out run in London, with Lizzy Watts (of Midsomer Murders fame) in the title role; Hedda’s a strikingly strong character, whose dramatic personality is often seen as the female Hamlet. Ivo van Hove sits in the director’s chair, his production of A View From The Bridge recently having played to sold out houses in London and New York. If you didn’t catch last year’s Northern Stage production, don’t miss the opportunity to see the production of this irresistibly stirring and disturbing tale reimagined in a contemporary setting.